Logical Network Diagrams visualize the computer and telecommunication networks logical structure. They are used by IT professionals and corporate IT departments, network and system administrators to visually document the topology of computer and telecommunication networks. ConceptDraw has 1004 vector stencils in the 40 libraries that helps you to start using software for designing your own Logical Network Diagrams. You can use the appropriate stencils from Computer and Network Diagrams object libraries. 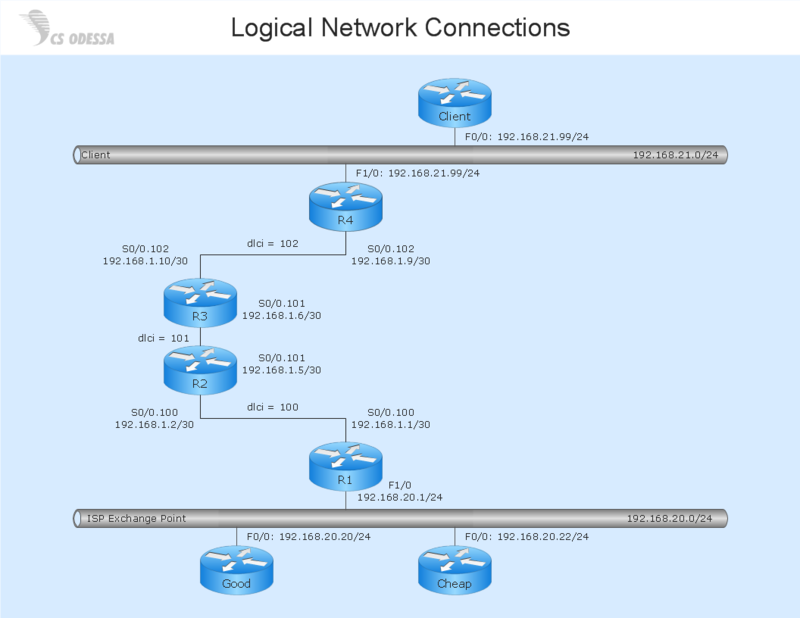 ConceptDraw Network Diagram is ideal for network engineers and network designers who need to draw Logical Network diagrams. Remote Networking - We explain the method most people use to connect to the Internet.